Las Vegas city is a wonderful city to visit any time of the year. The city is associated with fun and every excitement any traveler may dream of. While cool temperatures of winters offers pleasant sightseeing, in summers, daytime activities shift to hotel pools that provides all the entertainments visitors won’t have enough of . Every hotel has its own unique features ranging from street sideshows, dancing fountains to erupting volcanoes which all are marvelous treats to visitors. 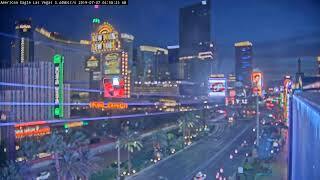 In Las Vegas Boulevard, the central section is lined with huge entertainment palaces, many built with defining presentation and home to performing venues, luxury hotel rooms and fine foods for all kinds of people. This place is known as the STRIP. To enjoy in Las Vegas, one better stays in the resorts at the strip to enjoy walking along the strip from Mandalay Bay hotel to Treasure Island hotel. Visitors enjoy their stay here in the nights when the strip is at its impressive best with lights illuminating the city in endless successions of all colored light signs. Positioned in old Las Vegas, Freemont Street is designed tailored to serve for the needs of pedestrians with all forms of entertainments available from street perfumers to other every outdoor entertainment acts. A night visit to this place makes you listen to great music with overhead visual shows on display. 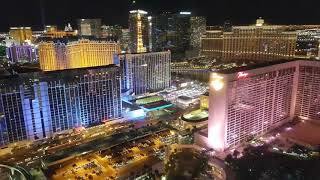 Most of travelers choose to have a feel of real Las Vegas at night by taking four hours Las Vegas Light Night Tours, which is a combination of Freemont Street Light Show and all enjoyments along the strip. The most exciting way to tour a place is to have an Ariel overview. A number of companies offer helicopter rides over Las Vegas and strip, or beyond to The Great Grand Canyon. Usually, time is always of the most essential to visitors, so this provides an opportunity to explore the surrounding landscapes and have a full view of America’s most beautiful places to visit. Mandalay Bay resort is at the south-west end of the strip, just next to Luxor Hotel Sharks numbering about 100, of different species, plus several other animals of aquatic origin are on display here. All these are housed in a complex known as the Shark Aquarium. A huge tank of several gallons is a house to varieties of sharks of varying sizes. The shark tunnel is the most center of attraction here as its impressively built with state- of- the -art facilities. Under the management of Association of Zoos and Aquariums, endangered lake and marine populations are preserved here and visitors can have a full view of these marine animals in almost their similar natural habitats. This joint is popular with young stars that are fans of fast-moving automobiles (cars). Las Vegas motor speedway is located 15 miles northeast of Strip. It’s a complex of all kinds of automobile racing tracks for those who love the thrill of watching high end racing cars as well as other racing events. Multiple restaurants serving all kinds of international foods feature along the speedway to cater for all types of niceties. There is also the availability of camps for those willing to stay back for overnight events.